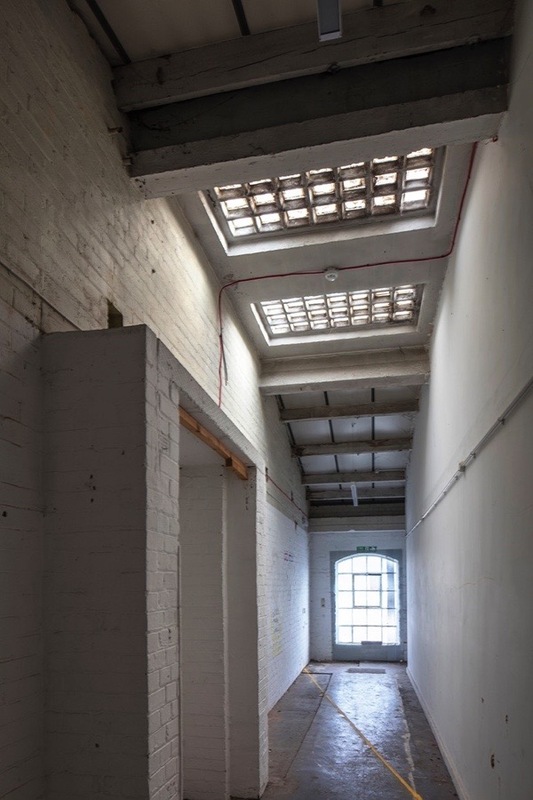 By the time you read this – barring a miracle – Vittoria Wharf may already be gone. 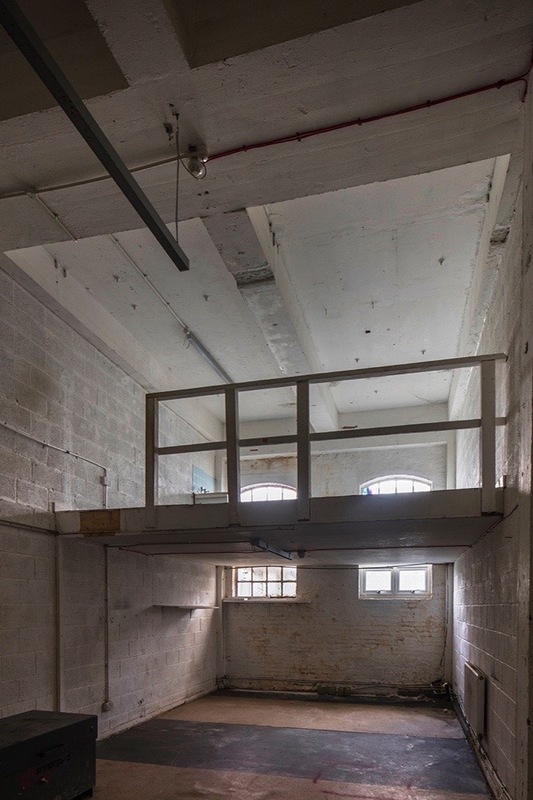 Contributing Architectural Photographer Morley Von Sternberg braved the frost to record these buildings when the builders permitted a final opportunity for access for the last week. 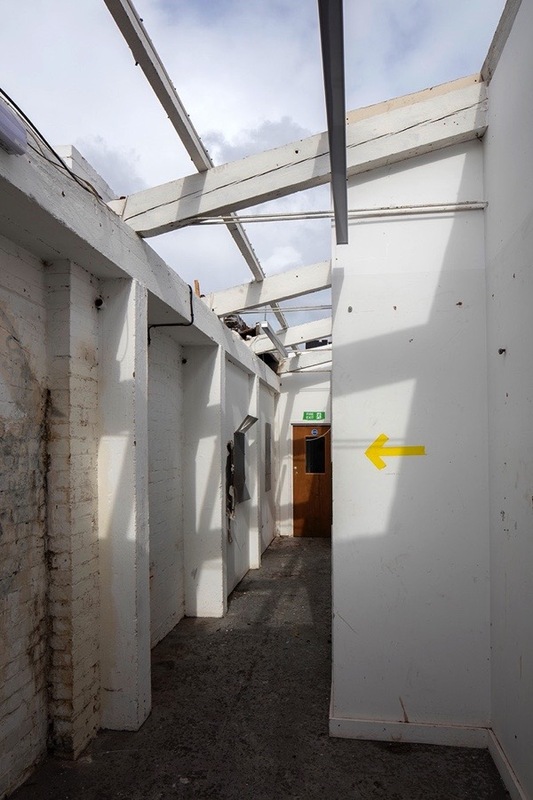 He arrived just as they began to remove the roof, thereby exposing the structure as a palimpsest that tells the story of more than a century of manufacturing tradition on this site. Thus ends one of the most mind-numbing and nonsensical East End planning controversies of recent years, as these well-used buildings are reduced to rubble for the sake of a superfluous new footbridge over the River Lea, linking Hackney Wick and the Queen Elizabeth Olympic Park, supplementing a pair of existing crossings each within less than two minutes walk. When the Olympic Authority was created, planning control of the site of the games and surrounding areas was removed from local councils. Afterwards, Boris Johnson set up the Mayor of London’s London Legacy Development Corporation which inherited the power to decide what happened next to this publicly-owned land and property, without the requirement of any democratic accountability. Consequently, although 10,000 signed a petition, 1,300 wrote letters of objection and Mayor of Tower Hamlets John Biggs, Member of Parliament for Bethnal Green & Bow Rushanara Ali and five cross-party London Assembly Members challenged the demolition of Vittoria Wharf, it has gone ahead without any meaningful consultation. 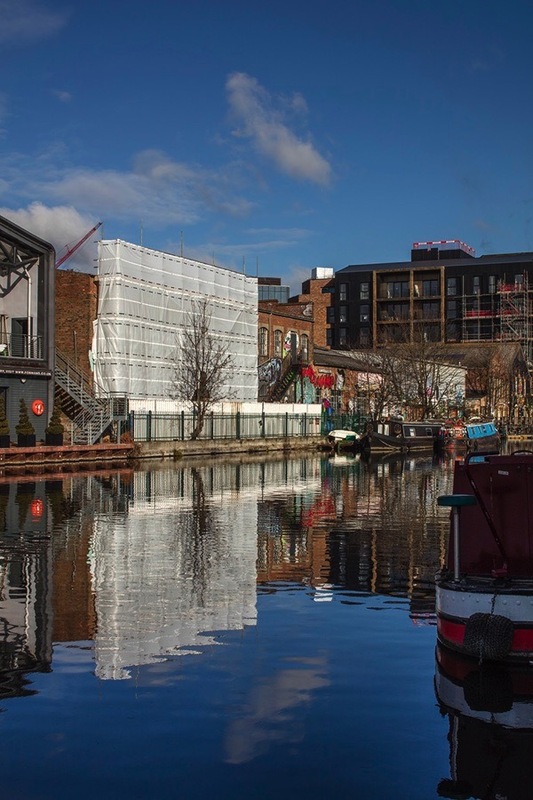 Originally built in 1900 beside the River Lea in Hackney Wick by Vulcanite Roofing Felt, Vittoria Wharf acquired its popular identity when it was named after the mother of one of the proprietors of Byron & Byron Curtain Fixtures. 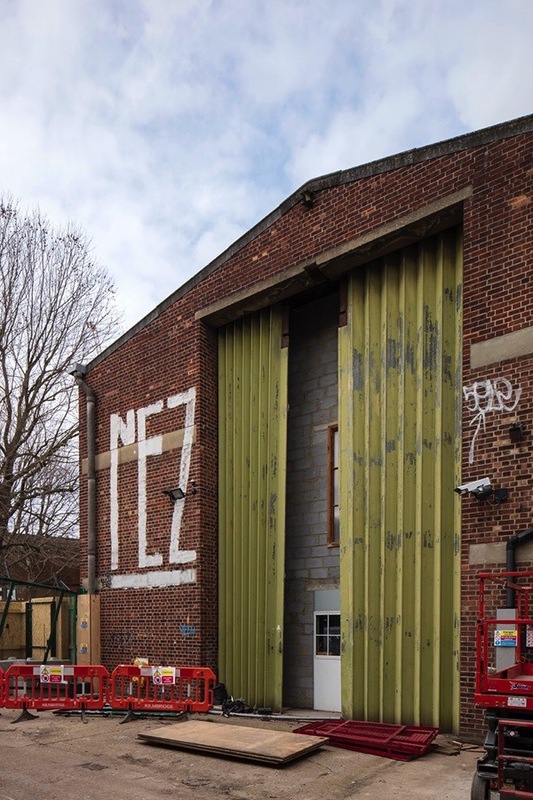 They were the last to use premises for manufacturing before it was compulsorily purchased by the Olympic Authority as part of a large scale buy up of industrial premises. 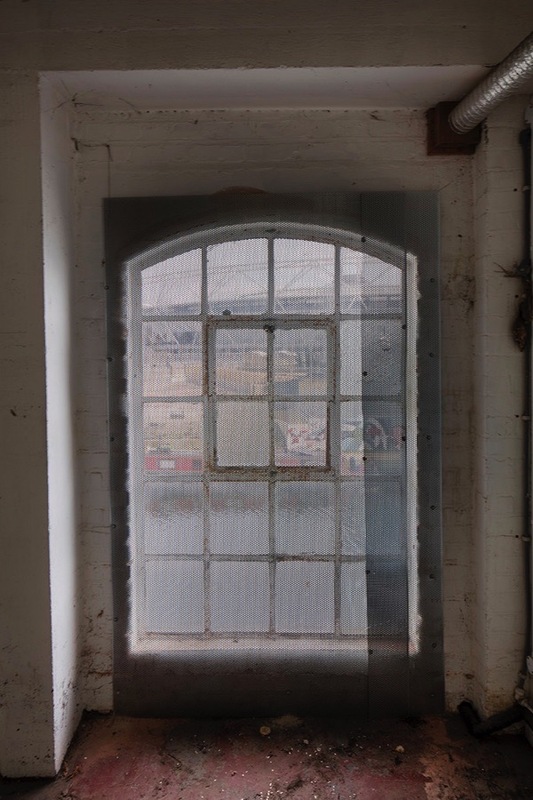 The 1900 waterfront elevation of Vittoria Wharf with its wall of iron frame warehouse windows conceals extensively remodelling following bomb damage, undertaken in 1947 for Frank F Pershke Ltd, Manufacturers & Importers of Printing Machines. This was by architect Peter Caspari and engineer Felix Samuely, renowned for his work on the De La Warr Pavilion, Bexhill. The 20th Century Society commended this work as a “pioneering collaboration” between Caspari and Samuely, whose ingenious reconstruction was at the cutting edge of new architecture as well as making good use of scarce materials. 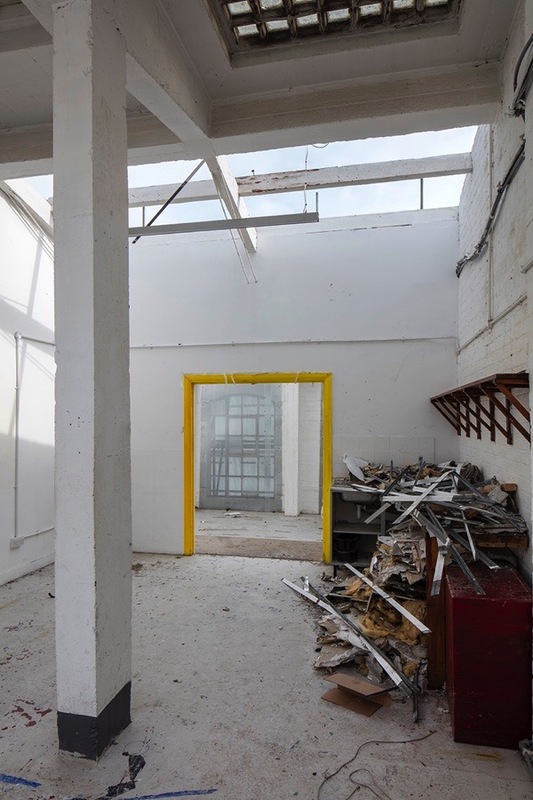 In 2009, after the departure of Byron & Byron, the premises were converted to around seventy small workspaces and artists studios, along with a cafe and gallery known as Vittoria Wharf & Stour Space, with the following policy – ‘Our vision was to create a forward thinking space that could find new ways of sustaining creativity and innovative business with social value at its core.’ This endeavour was subsequently recognised as a model of grassroots development and granted Asset of Community Value as part of the Localism Act in 2011. 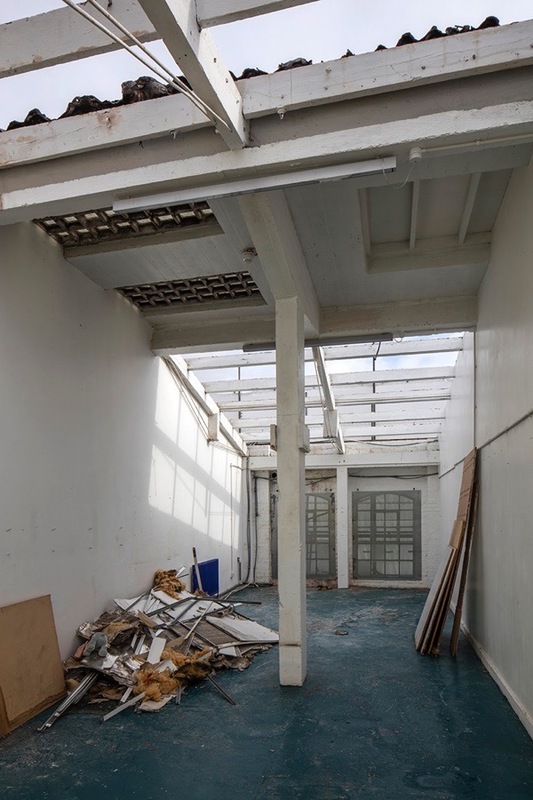 Yet they were evicted last year and an architecturally significant, publicly-owned building in use by a lot of people is being demolished for an unecessary new footbridge and undisclosed future development, in spite of unanimous public opposition. 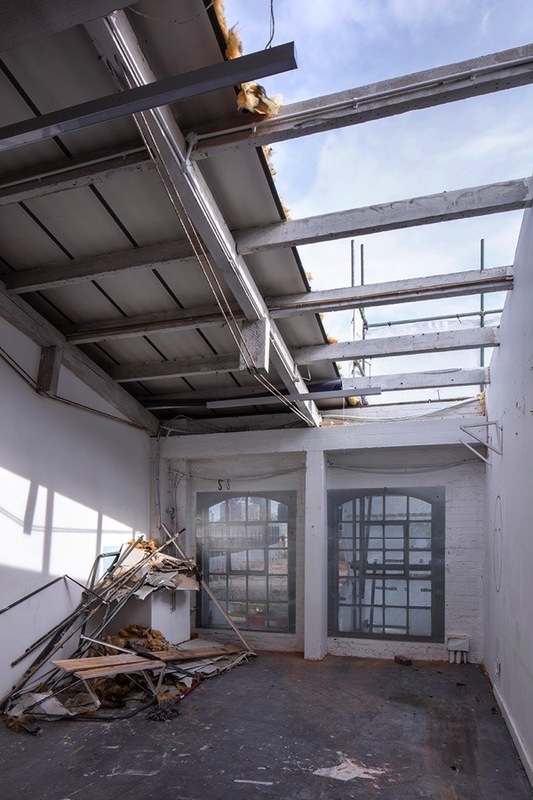 Now the roof is gone from Vittoria Wharf, the lid needs to be taken off the LLDC. Because the entire sorry debacle leaves innumerable pertinent questions unanswered, most obviously – What kind of Olympic Legacy is this? Oh no! This is really devastating news! I remember the enthusiasm for this shared use project, it was so encouraging for common sense development and the appreciation of these lovely buildings. Just devastating. Thank you so much Gentle Author for cataloguing and bearing witness to all these planning travesties. These places are like gold. But only if you measure successful society according to the degree of community and, ironically, ‘connectedness’ that exist within a community. Very disappointed that Sadiq Khan didn’t stop this. So we all know now about Boris but why hasn’t Sadiq Khan put a stop to this? It is the most depressing Spitalfields Life I have read for ages. This is just terrible. 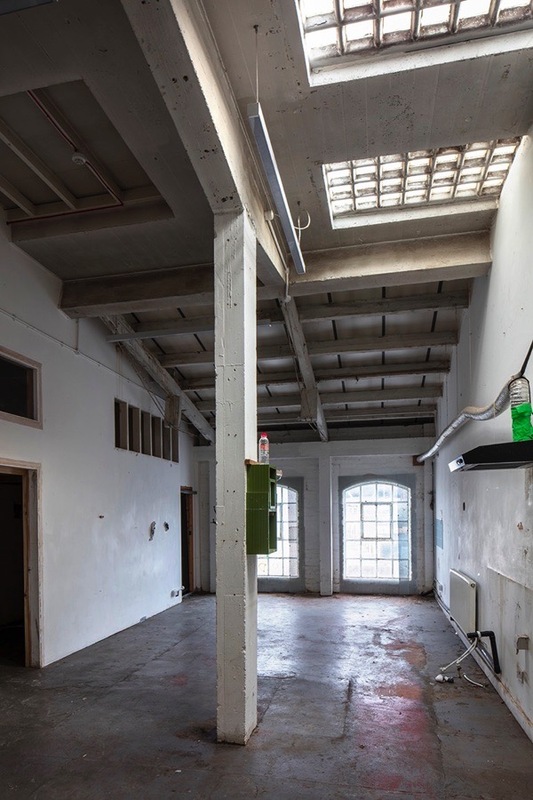 There has been – up until now – a sort of natural selection change in demographic in this area – what anchors and defines all of it are the buildings that are there. Knocking them down and replacing them with whatever comes after the bridge will bring a body-blow change to the demographic – an unnatural one. Yes I know that before this building there may have been others, or none, but those changes and movements had a more human ebb and flow, reflective of the lives already lived there. This one does not. Sadiq Khan should have overturned the dreadful Boris Johnson plan. What a terrible shame that he did not. Robin Hood like super hero required. The days of peaceful protest must be numbered. London, an ex fiancé, is being plundered until there is nothing worthwhile left. Set it adrift and leave it to the “artisans” and bankers, ’cause it looks beyond help. What a terrible shame. The government is promoting community resilience in response to the austerity it has imposed. The use of this building is a great example of community resilience in action and shows when it comes to the crunch, it counts for nothing. Would be interested to know whether Sadiq Khan had the power to stop it and if he tried. What a fabulous building. So much light and space. What a shame too. What a sad and distressing episode that somewhere like this offering hope and inspiration should be demolished. Miserable and appalling. I visited Stour Space not long ago to see the fine exhibition of Neil Martinson photos that you’d featured. Since I last visited Hackney Wick the whole area had become a vast demolition site with smart apartments being constructed seemingly everywhere. This made it very difficult for me to find my way to Stour Space from the station, I suspect because all but one non-obvious entry to the existing footbridge, which is still very serviceable, had been blocked off. The opportunism, packing in as many new dwellings as possible for buyers with the money to pay for them, was depressing enough, with previous industrial links being used as marketing opportunities to attract a new and alien population. Now to find that designated assets of community value are being destroyed without a by your leave is sickening. Boris Johnson has proved to be a great disaster for London – sorry to see that his legacy goes on and on…. Anything that Boris Johnson gets involved with is a disaster.He ruined such a lot of London whilst Mayor.Remember Folgate ? It is truly sickening that Sadiq Khan has not reversed this decision. He is a disgrace. 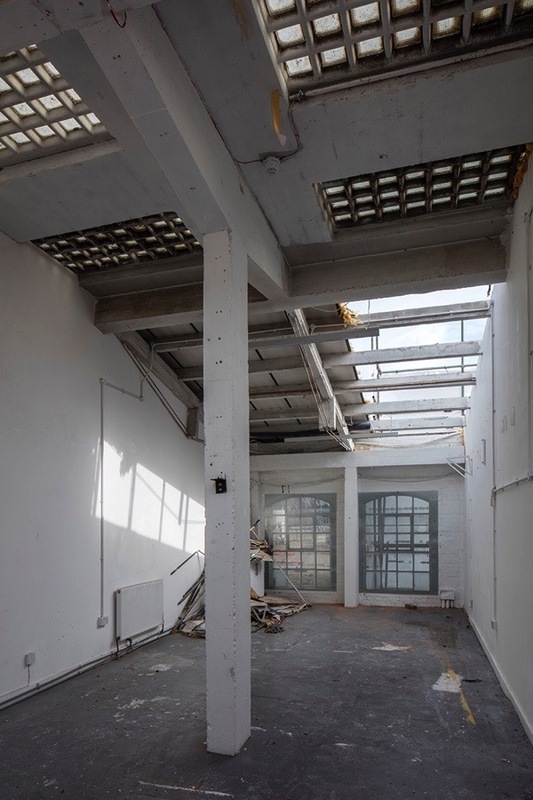 What an ideal space for the community, artists and creatives and taken away from them for a bridge??? This is utter madness. Luckily the ridiculous bridge over the Thames that Boris championed has been cancelled but at a huge loss to the taxpayers. How come we can all see the folly of this decision but those in power to stop it can’t. Very very sad another piece of local heritage being lost to the community. If one needed yet another reason to detest the Blond Buffoon – a chronic Inadequate who disfigures British public life to a grotesque degree – step up, poor Vittoria Wharf. London seems to have such a great way of ‘developing out’ the interesting, human, creative. These buildings provide the soul much needed in this modern world.